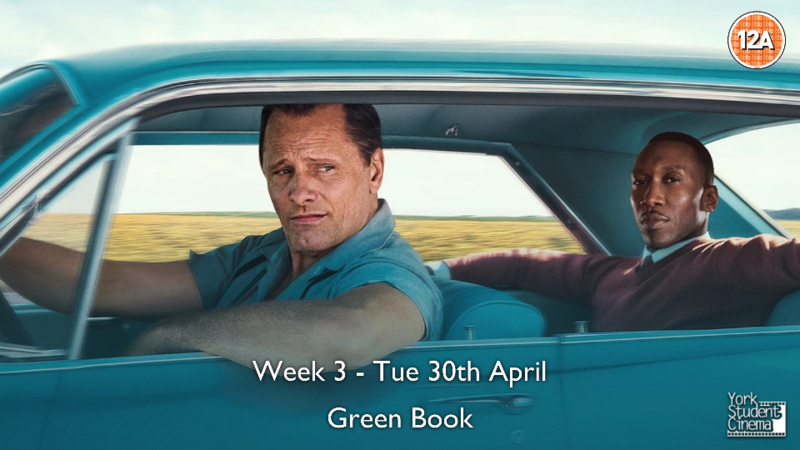 Come along to York Student Cinema's screening of 'Green Book'! "A working-class Italian-American bouncer becomes the driver of an African-American classical pianist on a tour of venues through the 1960s American South." The doors open at 6:45pm, and the film will start at 7:30pm. Tickets are £4 for non-members, £3 for members and free for annual pass holders. Whether you are a customer, or want to become more involved with projection, refreshments, front of house or article/review writing, we are always welcoming to any film lovers. Please login to purchase 1 ticket(s) per person.